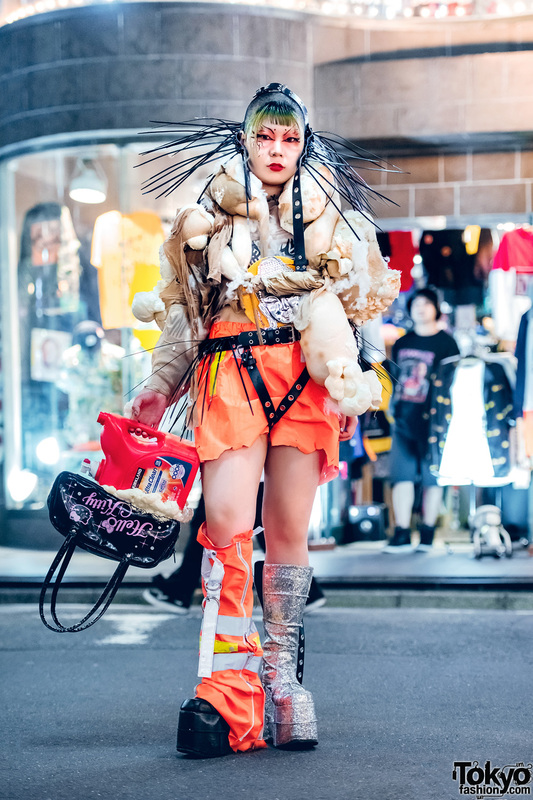 Popular avant-garde streetwear enthusiast sporting an all white vintage street style on the Harajuku street one fine evening. 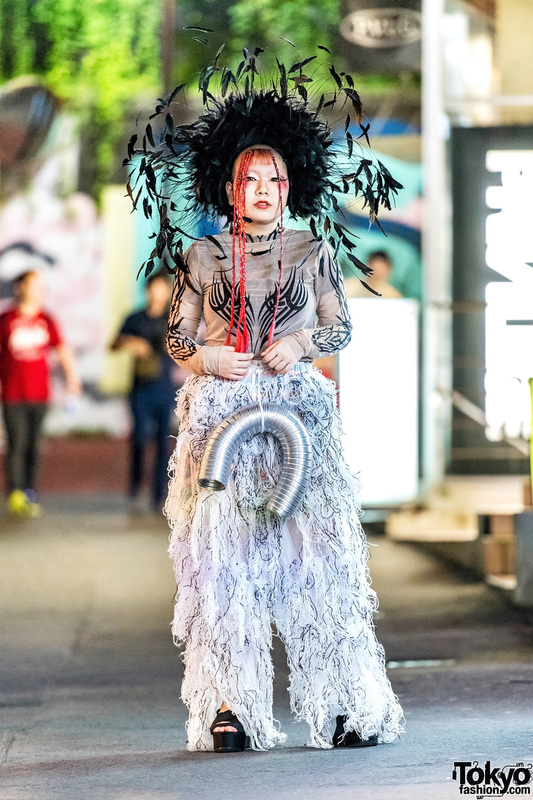 Japanese fashion buyer sporting a fashion-forward look while out and about on the street. 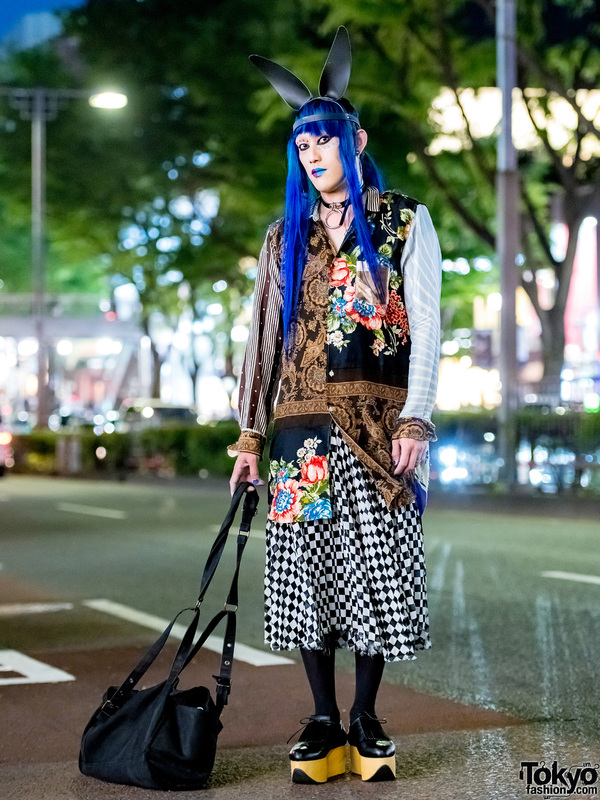 Mixed prints avant-garde styling by Japanese DJ/model/shop owner on the street in Harajuku.